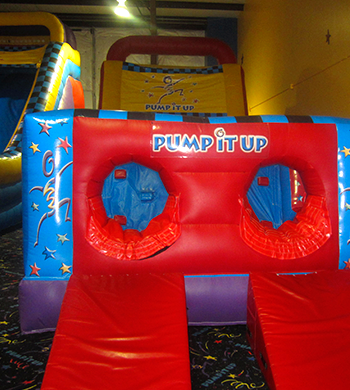 Introducing our newest inflatable, Round 'em Bounce is a round inflatable with basketball hoops inside. Can you make it across? 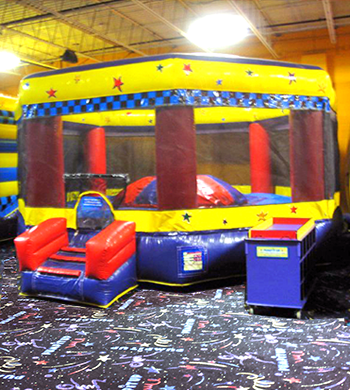 or will you fall onto a cushion of air? Jump Jump Jump! 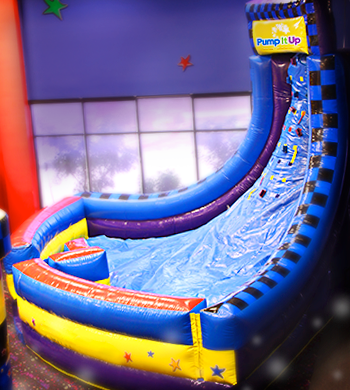 This fun ride is for all the thrill seekers to jump ! Let the fun begin! 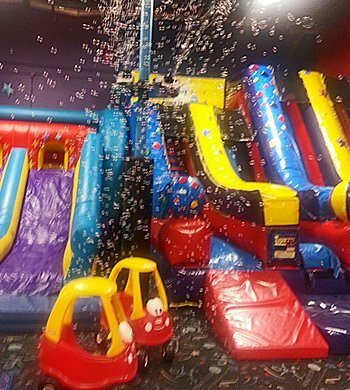 Throw another level of excitement to your child's birthday party by adding on our Bubble Extravaganza ! 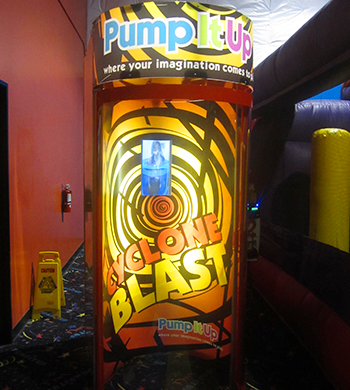 We will unleash a gigantic burst of bubbles twice during the play time in one of our Arena! 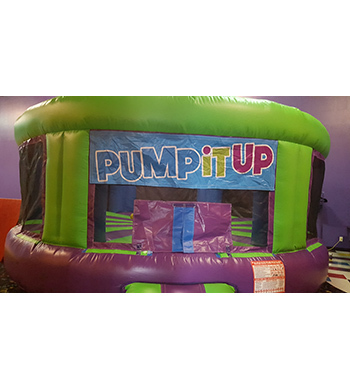 Kids LOVE bubbles and they will love it even more at Pump It Up! One of the Most exciting and Challenge driven ride that is fun one to race up. Mt. 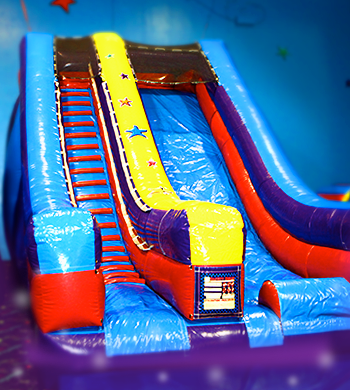 Rush is not your typical slide, its harder to climb and its faster than most. A ride you will not forget!! 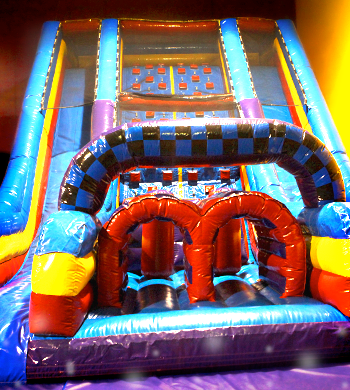 Our slide is always a huge sucess with kids of all ages. Always go feet first and use the mats to have the best experience. We have them in both our arenas. 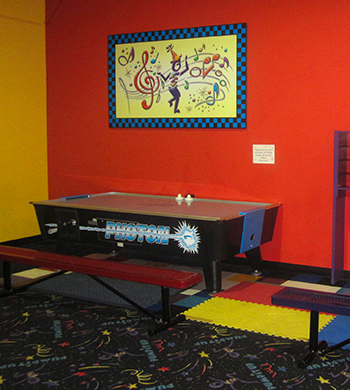 Both kids and adults enjoy our air hockey tables. Areana A and Arena B both have Air Hockey Tables. 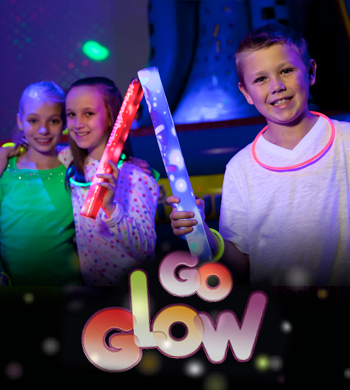 Add some fun and excitment to your party by adding Glow!! Glow in the dark is loved by both kids and adults alike. Fun lights and great music sure to make it a great hit! Every birthday child will be royalty for the Day. 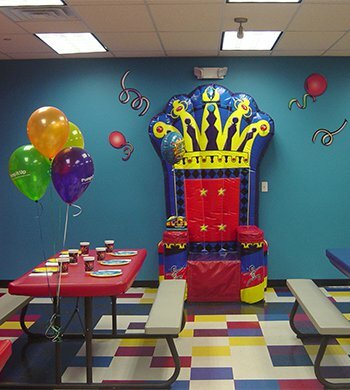 Each child will receive a crown and enjoy sitting in this throne to open presents, blow out the candles and eat there Pizza. Have a race. 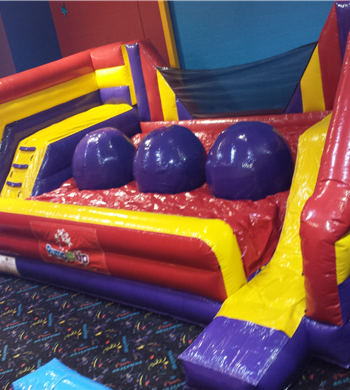 Who can make it thourgh the Obstacle course first.